The IGA partnered with the Light and Glass Society on a fascinating trip to the north Bohemian glassmaking region in the Czech Republic. 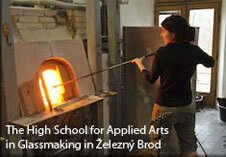 The 2012 summer program included tours of the region's three historic glassmaking schools in Nový Bor, Kamenický Šenov and Železný Brod, glass and chandelier factories, artist studios and ateliers, as well as visits to private collections and museums throughout northern Bohemia, Prague and Vienna. Thank you for your positive response towards this inaugural tour! If you attended or participated in any of the tour events and would like to share your photographs or insights regarding Czech glass as well as the world's oldest and richest glassmaking network, please contact creative@internationalglassalliance.org. North Bohemia is one of the last intact glassmaking regions in the world. 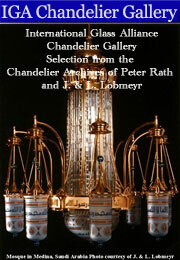 The IGA seeks to support, safeguard and preserve the historic glassmaking schools and the region's long-standing and rich traditions for future generations by promoting a greater understanding of the area's glassmaking and education history and its significance to glass and chandelier design throughout the centuries. Thank you for your support and the positive response. 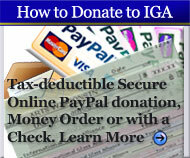 Please consider becoming involved with the IGA to sustain the glassmaking educational and artistic heritage through donation, advertising, student or program sponsorship or share your idea of support for these vital programs. Contact the International Glass Alliance executive director at: director@internationalglassalliance.org. Thank You.